Venice, California (USA) -- Recovering from drug addiction is often a difficult and painful process. We spend years of our lives running from every thought and emotion that arises. Intoxicants are the illusion of the perfect solution. We believe we have found the quieted and peaceful mind that we are looking for. Upon getting sober, we are suddenly left without the anesthesia of intoxicants. As thoughts and emotions begin to arise into our consciousness, we find ourselves suffering greatly. The years of addiction clouded our minds and hearts, pushing out unpleasant thoughts and emotions. When the mind begins to clear, these thoughts and emotions arise and we do not have any tools to work with them. 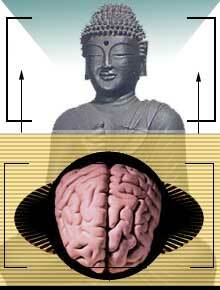 Buddhism offers the perfect toolset for the recovering addict. Learning about Buddhist principles, the reasons for our behavior begin to make more sense. Teachings on cause and effect open the door to this possibility. For the first time, we take responsibility for our actions. Addiction and the behavior that goes along with it have a root cause in our minds. The Three Unwholesome Roots, or Three Poisons are especially applicable to recovering from addiction. The first poison, ignorance, is the predecessor to the other two. In ignorance, our view of the world is greatly distorted. We separate from the rest of the world, identifying with “self.” Identifying with self creates a divide. If we have “self,” then everything else in the world is “they” or “them.” This dichotomy gives way to our aversive or attaching relationships to things that are not self. Attachment, the third poison, is not only applicable in our use of intoxicants. It is also relevant to our life without intoxicants. Attachment and greed cause us to want things to be a certain way. If we are attached to an idea of how things should be, we suffer greatly. Similarly, we suffer if we are craving something other than what we have in the present moment. For recovering addicts, this craving for control and anesthesia rips the present moment away. Although the Buddhist teachings are a great to read and learn about, it is not the only true path. In order to see what the teachings really are, we must sit and meditate for ourselves. Listening to a teacher speak of the dharma is a great way to learn, but it is through personal experience that we begin to uncover our hearts, leave our habit energies behind, and grow into more mindful, compassionate beings.